School year at Talsi Christian School is coming to the end and we thank God for a blessed year! Our students have done really well academically. We just celebrated our Scholastic Achievement night – students who have received awards in regional and national subject competitions as well as their parents were honored in a special celebration. We honored 92 students, which is 1/3 of our total student body. We thank God for every one of them! Our country needs Christian leaders and our school teaches them to become such. As we know from Mark 9:25: “Anyone who wants to be first must be the very last, and the servant of all.” so, we encourage our students to serve and help others. Since our buildings are the only truly handicapped accessible facilities in town, we invite handicapped seniors for a meal and fellowship; it is an opportunity to share Jesus with them and reach out. We are getting ready for the upcoming summer camps. We will have VBS: June 15- 19. Bro Mike Heims of Baptist Church of White Oak, TX is bringing a team to lead the camp. Orphan camp will be June 21 – 25; Bro. Bruce Hess of Wildwood Community Church, Norman, OK is bringing a team for this camp and The Youth camp is planned for June 27 – July. Brent and Karen Cooper; members of Lamar Baptist church Arlington, TX are bringing a team to lead the camp. Our youth will be small group leaders, interpreters and helpers in the camps and I am already excited what great things God will accomplish through these camps. 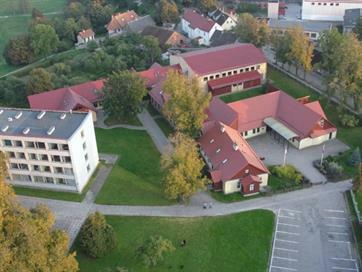 Talsi Christian School has outgrown its facilities. We started TCS in two several hundred years old buildings; in 1999 we finished the first addition with cafeteria and junior high classes; in 2005 we finished handicapped accessible high school building and gym. In order to accomplish the last building project we had to raise about a million USD and I thought we would never need to build again! The years have passed by and there are 52 applications for the first grade for next school year. I can only accept 44, as that is the total student count for two first grade classes given the size limitations of 22 students per class. We are simply out of room for the year 2016/2017. In addition to that, our government has emphasized the need for schools to focus on sciences, which requires more lab area for students to perform the state required work associated with the requirements. 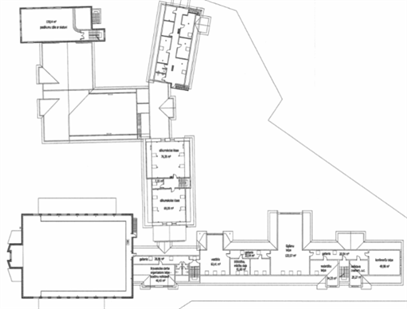 This new addition would allow us to put chemistry, biology, and physics classrooms and labs in a new addition; we would do some remodeling in the existing buildings, adding more showers, cloakrooms and bathrooms for camps. The main accomplishment is that we would have the ability to accept more students at TCS, giving them opportunity to learn about Jesus and reach out to their families. Since we are situated in the center of town, we have a small piece of land to put the new addition on, so it will be a two-story building with the basement floor, as well. We have started the fund raising campaign and we have to raise $1,000,000 USD. Architects are finishing up the blue prints and we hope to break the ground late this summer in order to complete the building by September 1, 2016. Thank you so much for your prayers and support – our doors stay open because of your faithfulness! Please, continue to pray for TCS and our ministries – we are like a light house in a very secular post – inherited soviet society, but because of this school there are many souls saved and lives impacted for His Kingdom!